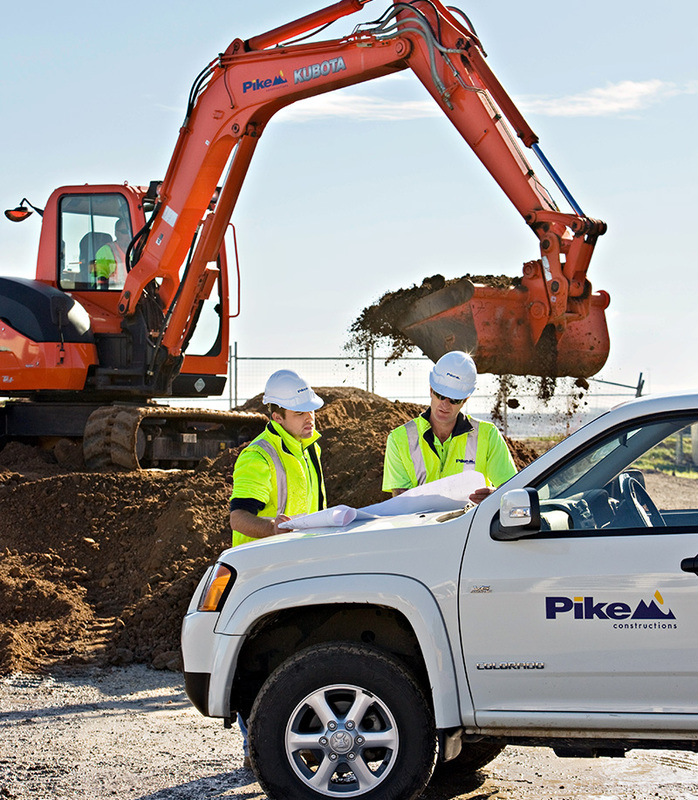 With over three decades of experience, Pike Constructions have established themselves as a recognised company, servicing both the commercial and industrial sectors of the construction industry. This they’ve done by increasing technical capacities and building professional relationships with clients, consultants, subcontractors and suppliers throughout the years. It all began with Robert Pike. Having gained significant experience working for the commercial division of AV Jennings, Robert decided that starting his own business was fundamental in moving forward. This led to the establishment of Pike Industries Pty Ltd, which commenced trading on the 1st of July 1981. In 1988, the company changed its trading name to Pike Constructions Pty Ltd, as it provided a more defined image of the company’s operations. Phillip Pike joined the company in 1995 and together with his father Robert, fostered a strong partnership, which has seen the company gain recognition within the construction industry. Their ability of identifying and employing individuals that are well credentialed and share a passion for quality and excellence, has seen the company enjoy a significant amount of growth from early 2000 till today. A major step forward took place in 2007 when the management team of Pike Constructions procured major plant and equipment along with skilled personnel, to enable the company to perform the majority of its own civil work. Having control of such an integral part of the construction process has not only given Pike Constructions greater control of the project delivery, but a competitive efficiency recognised by clients. Given the success of this investment, the civil operations of the business are set to expand. The company has a solid background in the development of multistorey office buildings, large-scale industrial developments and commercial properties. In addition, Pike Constructions has delivered educational and Institutional facilities along with sports and recreation. Our service concentrates on negotiated design and construction, competitive and invitation tender including construction and project management. Design and construction projects have been a core part of the business since the company’s inception. Over the past three decades, it has increased to a level where it is generating approximately 60% of the annual turnover. Having established teams of professional consultants, Pike Constructions are able to provide Architectural, Structural and Civil documentation along with Service design requirements. Additionally, the company is adept in negotiating with relevant authorities, working with Councils and certification bodies to achieve both planning and development approval. Invitation and competitive tender is another strong area of the companies operations. 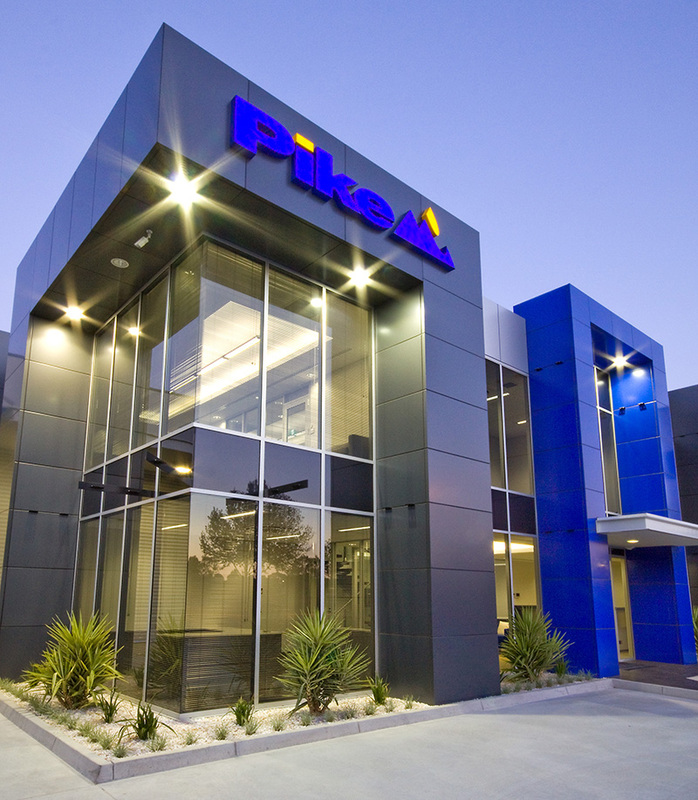 Being a common form of industry contracting, Pike Constructions participate regularly in the tender market. Having experience in design and construction work has enabled the company to work in sync with the design team, the client and end user of the development. Plus, a history in providing competitive and conforming bids has enabled Pike Constructions to grow in the tender market, developing many successful projects. Having established repeat clientele with some of Australia’s largest organisations, the client contractor relationship has seen Pike Constructions become a leader in delivering the construction industries services. Equipped with sound construction knowledge, hands on experience and an acute ability to understand the needs of clients, Pike Constructions provides a service that exceeds expectations.